Deep root fertilizing is the most effective and preferred method for keeping your trees and shrubs healthy, promoting luxurious foliage that adds beauty and value to your property. It is a process where a liquid time release fertilizer is pressure injected into a grid to get at the roots of your trees and shrubs. 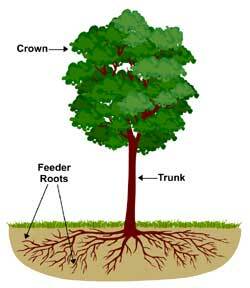 The liquid fertilizer is injected directly into the root zone area for maximum benefits. Its slow release action won’t burn delicate feeding roots. This method of fertilization is especially useful for trees and shrubs growing in lawns or having other vegetation such as ivy or other ground cover around them.